A. When you cast an attack spell, such as ‘Iron Hand’ in combat, the critical for the casting results in double damage (60 points instead of 30). 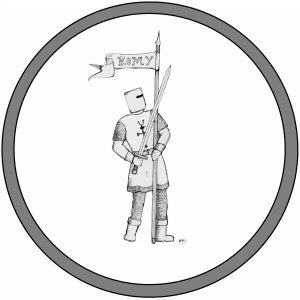 However, the target on whom the spell is cast must attack thereafter using some form of Unarmed Combat, which in Knightshade RPG is a weapon allocation that is often overlooked. A Character must have the Unarmed Combat (or Brawling) weapon skill. If the target using ‘Iron Hand’ fumbles an attack while enhanced in this way, he will hit nearest friend, or himself if no friend is in range, taking the full 30 or 60 points of damage respectively. This, like all magic in Knightshade RPG, can be dangerous to wield, especially with a low attack skill rating in Unarmed Combat. If a target (or the Mage using the spell) does not have some form of Unarmed Combat as a weapon allocation, then he can make an untrained attack, something that is highly dangerous as it is equal to half the Character’s current Agility ability, for example, a Mage or intended target with an Agility ability of 18, would have a 9% Unarmed Attack skill, with a 01-02 Critical chance and a 82-100 Fumble chance. A. Technically, yes, but it is up to the respective GM. If it can be applied, the additional damage provided by this Talent will not affect spells. As with weapons, at 75% ability, a Character can attack twice (or four times with ambidexterity). Unlike with weapons, these attacks are considered closer to natural attacks, thus the reaction is not halved for each subsequent attack, but happen one after the other, for example, with a Reaction Score of 17, the attacks would occur at Reaction 17, 16, 15, etc.